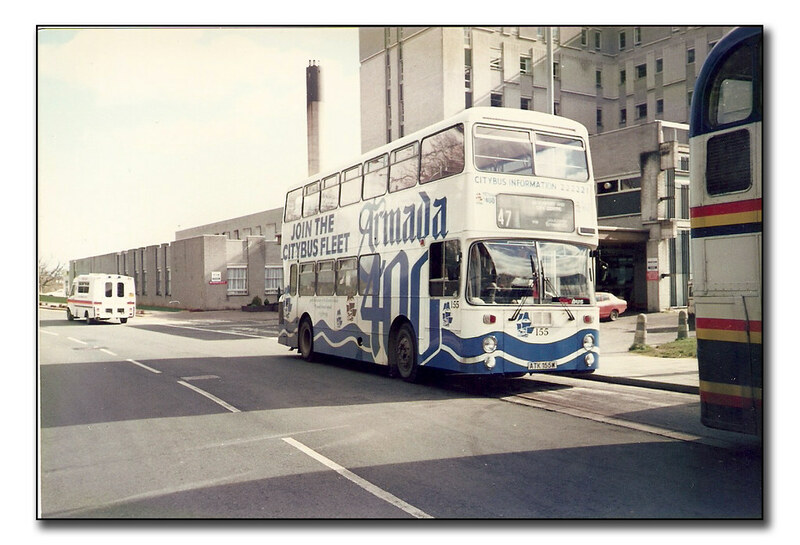 A very quiet Derriford Hospital way back in February 1989 with Citybus Atlantean 155 in the Armada 400 livery. Derriford is a lot busier now and this section of road way is of course one way traffic these days. There are a lot more buses serving the hospital now with Derriford coming second only to Royal Parade in terms of bus traffic. 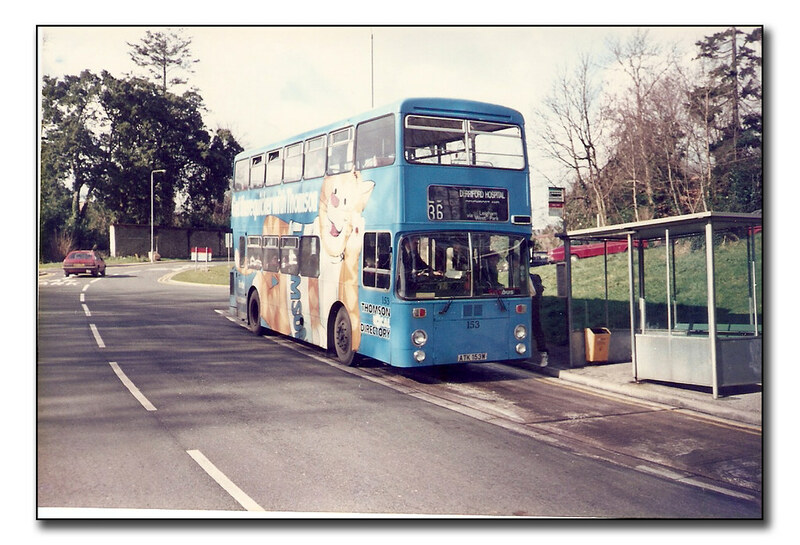 My view on the bus stopping arrangements at Derriford have been well covered over the years on this blog, but things should improve very shortly. With the new road layout and improved traffic flow and drop off parking in this area that has come into force over the past couple of months attention is now being turned to the bus stops themselves. New bus stop shelters are being installed and they will at last feature Real Time Info which will be welcomed by passengers. The work is due to start in November and will cause a certain amount of disruption while in progress, but I am sure the pain will be worth it! To end with we have another Citybus Atlantean in another special livery, this time an advert for Thomson Local in the other bus stop, now of course the Taxi Rank. "wow, i love your blog, and the feel of it. thanks for visiting, I might try this book out. wow, i love your blog, and the feel of it. thanks for visiting, I might try this book out.